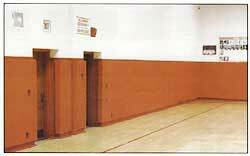 Our High-End Conventional Wainscot Wall Panels are manufactured in the USA with a 7/16" thick OSB wooden back panel that provides a 1" nailing lip at the top and bottom of each panel. 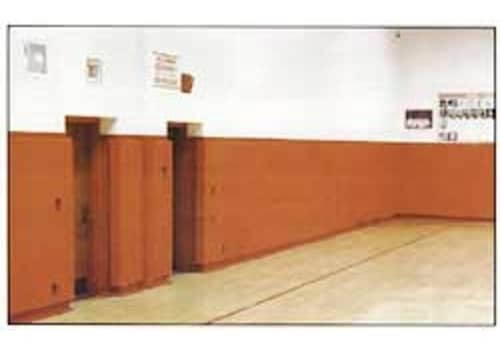 Conventional wainscot panels are recommended for brick or ceramic block walls. Our 14 and 18 ounce per square yard vinyl fabric provides great puncture and tear resistance. Our fabric is fire retardant, compounded with anti-bacterial and anti-fungal agents, and can be easily cleaned with mild soap and water. Guardian: 1-3/8" thick crosslink polyethylene foam is laminated to a 7/16" thick OSB wood backing to create a total panel thickness of 2". Provides light to medium duty protection against injury. Guardian XL: 2" thick crosslink polyethylene foam is laminated to a 7/16" thick OSB wood backing to create a total panel thickness of 2-1/2". Provides light to medium duty protection against injury. 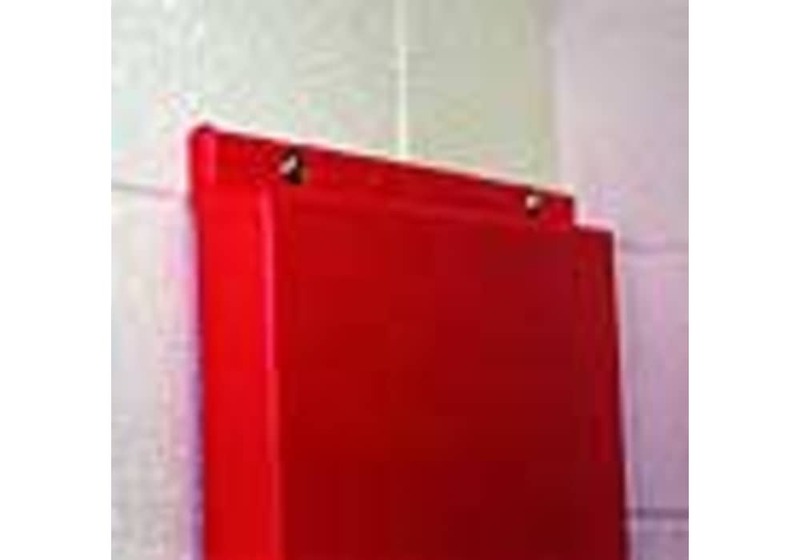 Duo Guard: 1-3/8" thick crosslink polyethylene foam combined with a 5/8" thick polyurethane foam is laminated to 7/16" thick OSB wood backing to create a total panel thickness of 2-5/8". Provides maximum duty protection against injury. School gymnasium padding including on doors and with cutouts for outlets, thermostats, valves, etc. Tantrum and timeout rooms in pediatric and adult autism clinics, mental health facilities, as well as home environments for particularly challenging situations. Prevent accidental or purposeful self harm by individuals with behavioral problems and challenges. Padding for the walls in Knockerball bubble soccer courts.